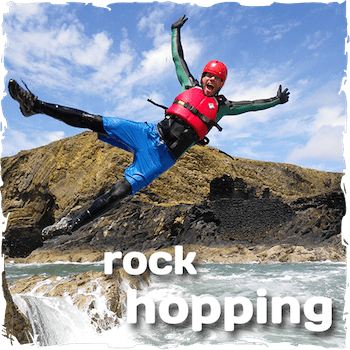 Who are Celtic Quest Coasteering? We are Coasteering specialists and we’re the only provider dedicated to it 100%. This means we have intimate knowledge of Abereiddy, one of the best locations in Pembrokeshire. Exploring the right hand side of the bay, its got the lot, small to BIG cliff jumps, scramble climbing, water features and more. We’re normally in the water for 2-2½ hours and finish the session in the Blue Lagoon (Red Bull Cliff Diving World Series location 2012 & 2013). We are Coasteering specialists and we’re the only provider dedicated to it 100%. This means we have intimate knowledge of Abereiddy, one of the best locations in Pembrokeshire. Exploring the right hand side the bay, its got the lot, small to BIG cliff jumps, scramble climbing, water features and more. We’re normally in the water for 2-2½ hours and finish the session in the Blue Lagoon (Red Bull Cliff Diving World Series location 2012 & 2013). 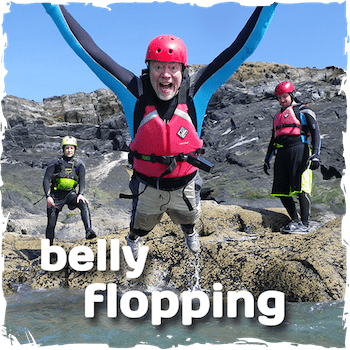 Why go Coasteering with us? Amid so many outdoor centres in Pembrokeshire, how is Celtic Quest Coasteering any different from the rest? 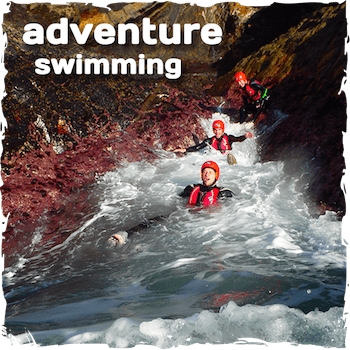 Our concept is to make coastal exploration accessible to all (aged 8yrs+) Whether you’re after an adrenaline filled adventure activity or maybe you’re not confident in water, we will tailor the activity to suit your needs and abilities. Amid so many outdoor centres in Pembrokeshire, how is Celtic Quest Coasteering any different from the rest? Our concept is to make coastal exploration accessible to all (aged 8yrs+) Whether you’re after an adrenaline filled adventure activity or maybe you’re not confident in water, we will tailor the activity to suit your needs and abilities. Through our unique way of operating we keep overheads to a minimum, which means you don’t have to pay as much as you would elsewhere. We’ll even meet you at the beach, so you don’t lose out on time enjoying yourself because of travelling. 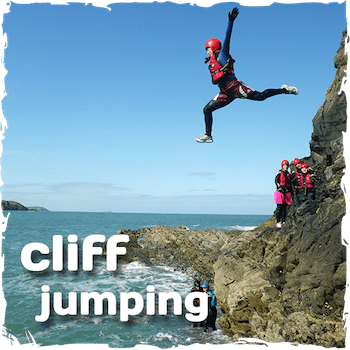 With a wealth of experience and oodles of enthusiasm our coasteering Guides will introduce you to the often inaccessible sections of the Pembrokeshire Coast National Park, at an affordable price! 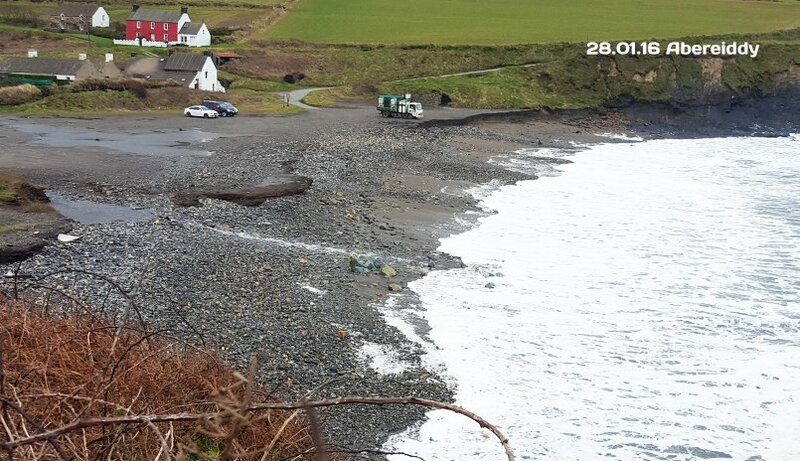 Abereiddy has a small beach which has black sand. 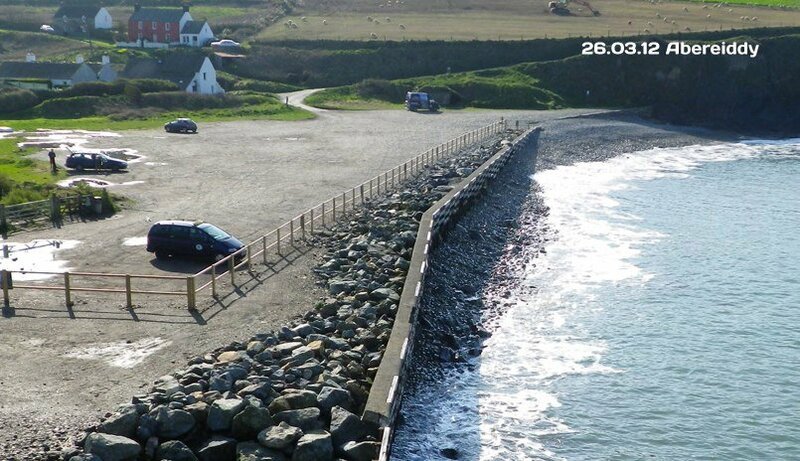 A large car park adjoins the beach, in the summer an ice cream van can usually be found. The beach also has public toilets. The Pembrokeshire Coast Path gives fine walking in both directions. Ruins of a small group of slate houses known as The Street remain near the beach. These were houses built for the quarry workers of the Blue Lagoon and were only abandoned after a flood in the early 20th century. Nearby are the ruins of the ‘Blue Lagoon’, a small slate quarry, now flooded by the sea having broken in. Initially slate was exported across Abereiddi beach, but later through a tramway to the harbour at Porthgain a couple of miles to the North. Although a small quarry, it operated a steam-hauled lift. The Blue Lagoon is 25m deep and despite the name, the water is always a distinct greenish hue, owing to the mineral content within the quarry. Red Bull Cliff Diving World Series location in 2012, 2013 & 2016. A selection of the world’s best divers dived from a man-made platform, 27 metres for the men and 20 metres for the women, into the Blue Lagoon.